After a few postponements, nine Chinese satellites carrying Amateur Radio payloads were launched on September 19 at 2300 UTC, separating from the Long March (Chang Zheng 6) launch vehicle about 15 minutes later. Four of the microsatellites and two of the CubeSats included in the launch have been designated as XW-2A through XW-2F. The other three satellites -- a CubeSat, a nanosatellite, and a picosatellite -- carry the designations CAS-3G, CAS-3H (LilacSat-2), and CAS-3I (NUDT-Phone-Sat), respectively. All of the new satellites have 2 meter downlinks and 70 centimeter uplinks. Satellite enthusiasts have been enjoying the sudden surfeit of spacecraft to work. 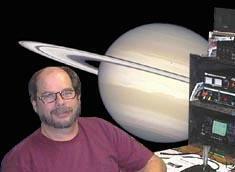 "So many signals, so little time," observed Tennessee resident Alan Biddle, WA4SCA, on the AMSAT-BB. China Amateur Satellite Group CAMSAT CEO Alan Kung, BA1DU, told ARRL that the anticipated life of the satellite cluster is 3 years. "Very good copy on CW beacons on [XW-2] A, B, C, D, E, F. Strong!" Clayton Coleman, W5PFG, reported from Texas. The nine satellites are in fairly close proximity in orbits about 310 miles up, and the AMSAT Online Satellite Pass Predictions page lists all under "XW-2." Shortly after the launch, W5PFG and fellow Texan Glenn Miller, AA5PK, worked each other via CAS-3F. He reported the CW beacons were strong on all of the CAMSAT satellites. Special event stations commemorating the US visit of Pope Francis announced plans to be active on some XW-2 passes. The CW beacons carry individual call signs for the satellites as well as telemetry in the form of three-character text groups and the word "CAMSAT." Text copied from XW-2A through XW2-F indicated call signs BJ1SB through BJ1SG, respectively. The satellites have been heard around the world. "Good signals from CAS-3F at 0700 UTC," reported David Bowman, G0MRF, who was at the Rugby World Cup special event station GB0RWC. He reported contacts with SP5ULN and F1AFZ. An artist's depiction of the XW-2A CubeSat. "The polarity shifts were challenging to keep up with, but other than that, signals were strong," reported Mark Hammond, N8MH, in North Carolina, after using the XW-2E transponder on a September 20 pass. "Congratulations to CAMSAT and everyone involved in these projects." The 200 mW FM transponder on LilacSat-2 (CAS-3H; call sign BJ1SI) was activated on the evening of September 22, and users took advantage. The transponder test was expected to last less than 24 hours. Dave Swanson, KG5CCI, in Arkansas said in an AMSAT-BB post that he checked out LilacSat-2 "on a whim" about 10 minutes after the transponder was turned on, and found the downlink "very strong." An updated frequency table and more information are on the LilacSat website. The IARU was only able to coordinate operating frequencies for XW-2D and XW-2E, and the other seven satellites in the recent launch apparently will not be eligible for traditional OSCAR numbers. Information on the just-launched CAMSAT satellites is available on the ARRL website. XW2 predictions are available on the AMSAT website. In addition to the Chinese satellites, the Brazilian Serpens satellite, launched on September 17 from the ISS, has been heard. The ARRL VEC is reminding Amateur Radio license applicants that the FCC no longer routinely prints or mails license documents. In an effort to streamline its procedures and save money, the FCC went "paperless" in February 2015. "Customer contact with the VEC has tripled since this change, as many amateurs have not heard of the change or do not understand the FCC procedures for obtaining a license copy," said ARRL VEC Manager Maria Somma, AB1FM. She said the most frequently asked question comes from Universal Licensing System users who have applied for renewal or modification, but then think the transaction was not completed because they did not get a new copy of their license in the mail. "Once we look up the info, our answer is nearly always that the requested transaction actually was completed and appears in the FCC database, but they won't be getting a copy of the updated license in the mail," Somma said. Less frequently, her department hears from exam applicants who ask why they did not receive a copy of their license after they passed the test. To help clarify things, Somma has created a web page, How to Obtain an Official FCC License Copy, devoted to explaining the various ways a licensee can get an official license document from the FCC. An official license displays the FCC logo and the "Official Copy" watermark across each page. A printer-friendly version of the instructions is available on the ARRL website. Somma said the easiest way for a license holder to obtain a license copy is to call the FCC at (877) 480-3201. Licensees can also download and print their own official license copy by logging into the Universal Licensing System (ULS) using their FCC Registration Number (FRN) and password, then clicking on "Download Electronic Authorizations" in the menu on the left. The ULS has also added a green informational banner that says, "Change your paper authorization preferences here, or download your official electronic authorizations now." Somma points out that the green banner is only temporary, and it eventually will go away. At least for now, though, clicking the "here" hyperlink will take you to the Paper Authorization Preferences" page. To continue receiving paper license documents, click "Yes." Clicking the "now" hyperlink will take you to the "Download Authorizations" page. Click on "Download Electronic Authorizations" in the ULS menu on the left side of your account page to access the "Download Authorizations" page. On the "Download Authorizations" page, scroll down to the "Filter by Radio Service" box (remember, the ULS is not just for the Amateur Service). First, highlight your call sign and then click "ADD>" to put your call sign into the "Authorizations to Download" column. Scroll down a little further and click "DOWNLOAD>" to create an official FCC license PDF document that can be saved or printed. When modifying, renewing, or requesting a duplicate license copy, a licensee who already has an FCC Registration Number (FRN) and provides a valid e-mail address under "Applicant Information" while logged into the ULS system will receive an official ULS-generated electronic authorization via e-mail. An Okaloosa County, Florida, deputy sheriff. who was also a radio amateur. died of gunshot wounds after serving a domestic violence restraining order at an attorney's office in Shalimar, where he lived. William J. "Bill" Myers, KK4KF, was 64. NorthEscambia.com reported on September 23, "Deputy Myers was walking outside when he was shot multiple times in the back, including a gunshot wound to the rear of his head." An Associated Press account said the shooter, identified as Joel Dixon Smith, 33, was supposed to be turning over any firearms in his possession, but apparently shot Myers with "a concealed weapon." According to the news account, Myers was a law enforcement veteran who had rejoined the Sheriff's Office in Okaloosa County to earn money to take his granddaughter and family to Disney World. 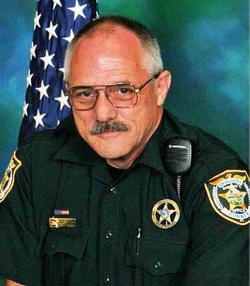 On its "Officer Down Memorial Page," the Sheriff's Office said, "Deputy Myers had served with the Okaloosa County Sheriff's Office for a total of 26 years. He had retired from the agency after serving 25 years and then returned as a part-time deputy in January 2015 to assist with serving civil papers." The suspect was later shot by authorities after barricading himself in a motel room, and he later died. Okaloosa County Sheriff Larry Ashley called Myers "a treasured part of this agency's family since 1989" who had "served this community with distinction for decades." Myers had also worked as a US Postal Service rural carrier. fatalities that resulted from the Butte Fire, southeast of Sacramento. An ARRL member, McCloud, 66, was said to have been disabled. Calaveras County Coroner Kevin Raggio said McCloud and the second victim had both refused to evacuate the area and were found dead in their homes, which were destroyed by the fire. McCloud had lived in Mokelumne Hill, California, for 8 years. On his QRZ.com page he spoke of enjoying the "wildlife, trees, and a whole lot of room" there and keeping busy with antenna projects and a vegetable garden. Raggio's office identified the second fire victim as 80-year-old Owen Goldsmith. Amateur Radio on the International Space Station-Europe (ARISS-EU) Chairman Gaston Bertels, ON4WF, will retire from that post this fall after serving since 2000, when the ARISS Working Group was formed. Among other initiatives, Bertels was involved in the project to have Amateur Radio equipment and antennas installed on the ISS Columbus module and with the installation and commissioning of the Ham TV DATV system on the ISS. He has also personally assisted in many ARISS contacts involving schools and groups on the Continent. Retiring ARISS-EU Chair Gaston Bertels, ON4WF. "[I'm] now 88 and slowing down a bit," Bertels told ARRL in announcing the election of his successor as ARISS-EU Chairman, Emanuele D'Andria, I0ELE. In 2014, International Amateur Radio Union Region 1 (IARU-R1) awarded the Roy Stevens, G2BVN, Memorial Trophy to Bertels, in recognition of his service to Amateur Radio in space, first as chairman of the Eurocom Working Group and then of the Amateur Radio Space Exploration Working Group. As Bertels explained, a slate of four ARISS-EU Board candidates was presented to the ARISS-EU member societies. All ran unopposed for 2-year terms. In addition to D'Andria, other Board members include Oliver Amend, DG6BCE, technical director; Bertus HÃ¼sken, PE1KEH, counselor, and Jean Pierre Courjaud, F6DZP, counselor. The new ARISS-EU Board takes office on October 1. The ARISS membership includes the AMSAT organizations in Belgium, France, Italy, Sweden, and the UK, and the IARU member societies in Italy, Germany, Poland, France, Portugal, Belgium, Switzerland, the Netherlands, and the UK. IARU member societies in Malta and Lebanon are associate members. "Congratulations to the elected Board, and best wishes for a very successful term of office," Bertels said in announcing the new board. AMSAT has announced that FoxTelem ver 1.0 software, the Fox Telemetry Decoder, has been released so stations can start setting up, testing, and debugging their ground stations prior to the October 8 launch of the Fox-1A satellite. FoxTelem is used to demodulate, store, and analyze telemetry data from AMSAT's Fox series of CubeSats. Until Fox-1A launches, users can confirm that everything is working by using a test WAV file, available from AMSAT. 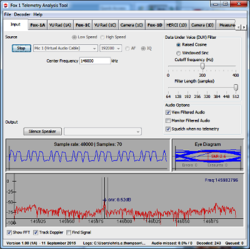 The FoxTelem telemetry analysis utility has just been released for use with the Fox-1 series of CubeSats. Fox-1A will include an FM transponder with an uplink frequency of 435.180 MHz, and a downlink frequency of 145.980 MHz. The first phase of the Fox series 1-Unit CubeSats will allow simple ground stations using a handheld transceiver and simple dual-band antennas to make contacts. The Fox CubeSats also will be able to transmit continuous telemetry during normal transponder operation. Fox-1 satellites will employ two telemetry formats. Slow Speed, also called Data Under Voice (DUV), is 200 bps FSK data, sent at the same time as the transponder audio at a frequency below 300 Hz. Whenever the transmitter is on, data are being sent, even during beacons and live contacts. High Speed is 9600 bps FSK that will be sent instead of the transponder for data-intensive experiments, such as the Virginia Tech Camera. This will only be active when commanded from the ground, and it will sound "like an old-school computer modem," said Chris E. Thompson, G0KLA, in announcing the software release. AMSAT Vice-President for Human Spaceflight Frank Bauer, KA3HDO, will be the banquet speaker October 17 at the AMSAT Space Symposium in Dayton, Ohio. His topic will be, "Making a Difference: AMSAT's Contribution to Navigation and Timing in HEO/GEO Space and its Profound Impact on Earth and Space Science." Bauer also serves as the Amateur Radio on the International Space Station (ARISS) international chairman. ARISS-International Chair Frank Bauer, KA3HDO. In the mid-1990s, Bauer proposed a GPS reception experiment on the AMSAT Phase 3D satellite (AO-40). The experiment was to measure the signal strength of the GPS satellite constellation while Phase 3D was in high-Earth orbit (HEO). The AO-40 experiment subsequently has been cited often in aerospace literature, as it remained the most comprehensive above-the-constellation data source for nearly a decade and led to changes in the system's specifications and applications. The results of the AO-40 experiment jump started a game-changing transformation in navigation at HEO/GEO altitudes, enabling new and exciting missions in these orbits. Bauer holds bachelor's and master's degrees in aeronautics and astronautics from Purdue University. His career in aerospace spans 4 decades within NASA and in private industry. Bauer currently heads FBauer Aerospace Consulting Services. Bauer has been licensed since 1974. In 1983, in preparation for the space mission of Owen Garriott, W5LFL, he was responsible for setting up and operating the worldwide retransmission of Space Shuttle air-to-ground communications from Goddard Amateur Radio Club station WA3NAN. This initiative provided a critical conduit of information to hams attempting to contact astronaut-hams in the pre-Internet era. 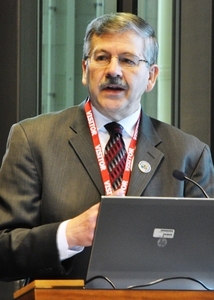 In his current role as ARISS-International chairman, Bauer has overseen the development, qualification, testing, and operation of the Amateur Radio systems on the International Space Station. Nobel Laureate Joe Taylor, K1JT, the developer of the popular WSJT "weak-signal communication" software suite is advising users to avoid what he called "unauthorized" versions of his software. He said problems could result by using these builds on the air, and any results that might be shared with the broader user community would be unhelpful. "Third-party individuals -- ie, others not part of the WSJT development team -- have been compiling WSJT-X from the open-source code and making unauthorized 'releases' of their builds," Taylor said September 8 in a discussion of WSJT-X "fast modes" on his website. "I do not recommend use of these builds on the air. If you operate with one of these unauthorized 'rXXXX' code revisions in our experimental code branch, you have no idea what you've got." Subsequent observations regarding what does or does not work, he said, then become "worse than useless. [T]hey waste your time and ours." WSJT-X implements JT9, which Taylor has described as "a new mode optimized for weak-signal communication on the LF, MF, and HF bands." Taylor said JT9 is about 2 dB more sensitive than JT65 while using less than 10 percent of the bandwidth. WSJT-X is an "experimental" or "extended" package. Plans call for the eventual inclusion of other popular modes now supported in WSJT. A new alpha release of experimental WSJT-X v1.6.1, r5910 was posted for download on September 18. More information on the WSJT software suite is available on Taylor's website. The Radio Society of Great Britain (RSGB) will assume overall management of Amateur Radio examinations in the UK, starting on October 1. Radio examinations have been handled since 2007 by the Radio Communications Foundation (RCF), under agreements involving telecommunications regulator Ofcom, the RCF, and the RSGB. "The same people will be doing the same things; they will just be reporting to the RSGB Board instead of the RCF," the RSGB said. "This will free the RCF Trustees to concentrate on their charitable work," and, the RSGB added, "will further streamline the administration of the examinations, building on the foundation established over the last 8 years." The RSGB will set up a new Examinations Standards Committee, separate from the RSGB Training and Education Committee, which will have direct accountability to the RSGB Board. Independent audits will ensure that the new exam system is working as intended. The retired chief of the US Navy-Marine Corps Military Auxiliary Radio System (NMC MARS), Bo G. Lindfors, N9UH, of Yorktown, Virginia, died September 15. 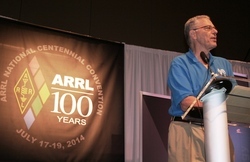 An ARRL Life Member, he was 70. A native of Finland, Lindfors came to the US when he was 6 years old. After high school, he was accepted into the US Naval Academy and subsequently served for 26 years in the US Navy, rising to the rank of Captain. His military service included tours as commanding officer of a Landing Ship Tank (LST) and the USS Enhance. Before he retired from the Navy in 1993, Lindfors had been awarded the Navy Meritorious Service Medal, the Navy Commendation Medal, and the Navy Achievement Medal. He became US Navy-Marine Corps MARS Chief in 1997, after having served as a MARS volunteer. Retired US Navy-Marine Corps MARS Chief Bo Lindfors, N9UH. "As Chief, Capt Lindfors successfully made significant improvements to a program that many considered to be obsolete and overcome by modern technology," said a Navy-Marine Corps MARS bulletin announcing Lindfors death. "Through Capt Lindfors' outstanding leadership, NMC MARS improved interoperability with Army and Air Force MARS, reorganized NMC MARS regions to align with the Federal Emergency Management Agency schema, and expanded the use of HF Automatic Link Establishment and other radio technology." Navy-Marine Corps MARS members observed 1 hour of radio silence on September 19. A memorial service with full military honors was held that same day in Newport News, Virginia. Sumter Amateur Radio Association Hamfest Cancelled: The Sumter Amateur Radio Association (SARA) Hamfest, scheduled for Saturday, October 24, in Sumter, South Carolina, has been cancelled. "There were some issues we could not overcome in hosting this year's event," SARA President Jim Barnard, W4BRX, told ARRL. Additional information is available on the club's website. Registration Fee Imposed on Radio Amateurs in the Netherlands: VERON, the International Amateur Radio Union member society in the Netherlands said it's "very disappointed" that radio amateurs in that country will have to pay a â¬31 (about $35 US) registration fee. The Netherlands government announced the fee in September, and it will start in 2016. Registration has been free since 2008, when the system was transformed from paid license to free registration. VERON said it faces registration fees of its own for its PI4-prefix call signs (PI4AA, for example), which will cost VERON more than $1000. VERON said that while it cannot reverse the decision, it called on the Amateur Radio community to unite behind the society to resist threats that Amateur Radio faces. 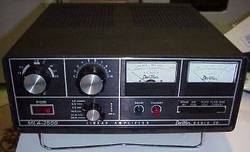 "QRO CLUB" Offers Loaner Amps to DXpeditions: The QRO Club, supported by Chip Cohen, W1YW, and the Fractal Amateur Radio Club (W1FRX), is offering a supply of small amplifiers for loan to DXpeditions. "Low power/QRP is an exciting challenge," said Cohen. "But if you are going any place that's even remotely rare, you have to be loud." The QRO Club's initial offering is the Dentron MLA-2500. "Two of these will be immediately available as DXpedition loaners to modest US-initiated DXpeditions. Traveler insurance must be purchased to cover baggage loss/destruction; otherwise the amps will be free for use," Cohen said. "If [the amps] break during use, the DXpeditions won't be responsible; Murphy happens." Contact Chip Cohen, W1YW, for details. Tad Cook, K7RA, Seattle, reports: This week the average daily sunspot number moved up, from 66.9 for the September 10-16 period, to 73 for the next 7 days. Average daily solar flux rose from 97.3 to 106.7. There was one new sunspot group on September 20, two more on September 22, and another new one on September 23. At 0005 UTC on September 20, the Australian Space Forecast Centre issued a geomagnetic disturbance warning for September 20 and 21, due to a coronal mass ejection (CME). Sure enough, at the end of the day on September 20 the planetary A index hit 43, which indicates possible aurora and a high absorption level for HF signals. The college A index (Fairbanks, Alaska) reached 73. Spaceweather.com reported that the CME impacted Earth 1 day earlier than expected. A second similar warning was issued at 2255 UTC on September 21 for the following day, but the CME missed Earth, and conditions were quiet and stable. NOAA has had some trouble lately in getting the daily 45 day forecast of solar flux and planetary A index from the Air Force. This is because of some issues that have to do with changing servers. So, we never got the daily forecasts for September 10, 22, and 23. The latest forecast (from September 21) has predicted solar flux at 110, 105, 95, 90, and 85 on September 24-28; 100 on September 29 through October 1; 95 on October 2-5, 100 on October 6-7, and 105 on October 8-11. Predicted planetary A index is 8, 16, and 14 on September 24-26; 8 on September 27-30; 20 on October 1; 15 on October 2-3; 45, 25, and 18 on October 4-6; 12, 50, and 15 on October 7-9, and 12 on October 10-16. The autumnal equinox occurred on Wednesday, September 23 at 0822 UTC. This was when the Northern Hemisphere moved into fall, and the Southern Hemisphere into spring. Right now, close to the equinox is a good time for HF propagation, particularly between the Northern and Southern Hemispheres. For this week's bulletin we will have reports from readers and details on a scientific paper we mentioned recently that outlines a prediction for the next solar cycle, Cycle 25, to be at least as strong (or weak, depending on your point of view) as the current Cycle 24. This contrasts with some recent speculation that the next few solar cycles might be weaker than the current one.